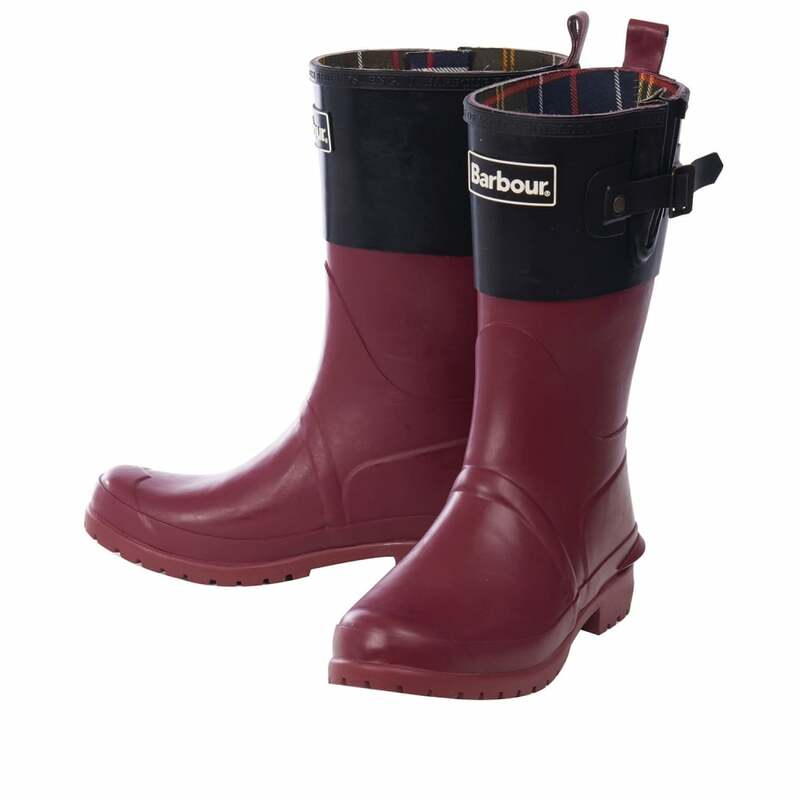 These shorter length wellies have been given a modern twist with an abstractive colour block design. An adjustable side gusset allows you to get the perfect fit on these wellingtons, and is finished with a brass snap fastener to keep them extra secure. A classic for any wardrobe these traditional boots are finished with Barbour branding on the top line and a printed tartan lining.